Now that I finally found a basecoat combo that allows me to wear glitter for more than three hours without chipping, I decided to break out my BL's and do a tape manicure. 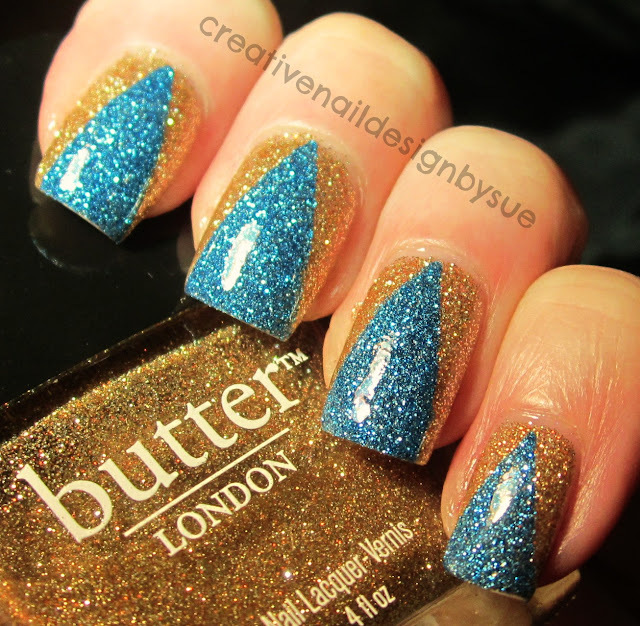 This is Butter London West End Wonderland and Scallywag. Love this combination. And. it lasted for two days with two coats of Nail Tek Ultra Foundation underneath. Ahhh, these colors are so perfect together!! I love this!